This charming 1500 sq.ft. single level casa has a Mexican flavor with its faux finished interior, concrete stained floors and counter tops and original art by local artists. This house has a warm feeling the minute you walk through the door. Located in Los Barriles within walking distance to town and several restaurants. Take a relaxing stroll on the beach on the beautiful Sea of Cortez only minutes away. Private fenced in yard with lots of shade from the many indigenous trees. Spacious shaded patio located off the kitchen with gas grill. 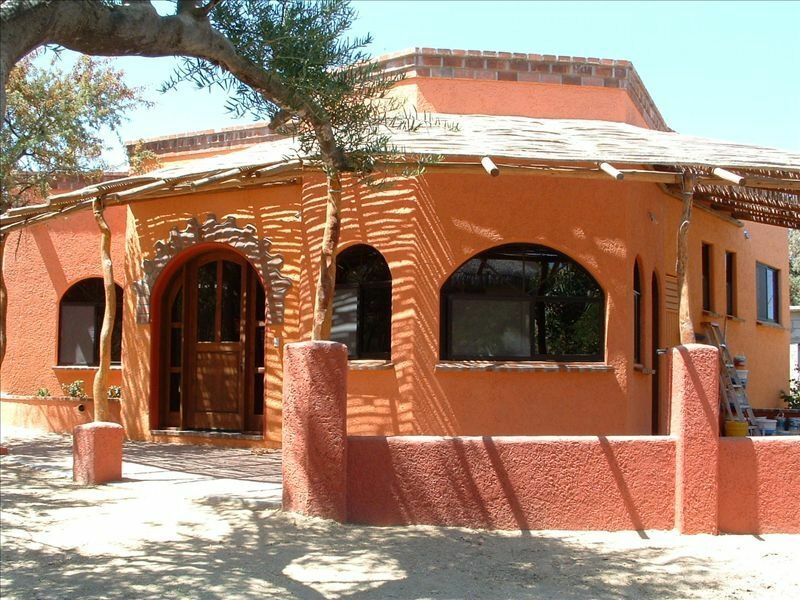 This cute but spacious casita is on a quiet dead end street and provides all the things that you could want to make your vacation rental home as comfortable as your own home. It has 2 bedrooms 2 baths and an office. My husband,mom & I stayed here for 8 days. It was a perfect spot for all of us. We all had enough privacy & were able to make some of our meals & relax. The casita itself is stunning. Beautiful colors, spacious bathrooms with plenty of hot water & comfy, firm beds & wonderful artwork. The washer & dryer came in handy so we didn't have to pack a bunch of clothes for the trip. We used the bikes to check out the town on the first day & my husband used it to go windsurfing on the days that the wind blew.The beach was just a few minute walk down a sandy road & you can watch the sunrise. The casita is in the town so expect life in Mexico. Plenty of dogs all over Los Barriles & at night, they tend to bark. We were there for one of the saint holidays, the neighbor had music going until 3 am. If you are a light sleeper, bring earplugs. Still, this was just part of the experience & you just had to smile. Ron & Connie are very nice people & lovely hosts. They gave us some recommendations for restaurants as well as the local market. Any questions & they were ready to answer. Overall, it was truly a home away from home! Exactly what we wanted from our holiday in Los Barriles.